TIKAPUR, Feb 19: Agricultural Development Bank Ltd (ADBL) has expressed interest to make big investment in banana farming. In a meeting with locals of Tikapur, ADBL CEO Anil Kumar Upadhyaya said that the bank was committed to provide financial resources to banana farmers. "We are ready to provide loans to farmers provided that they have a viable business model," Upadhyaya said, speaking at an interaction with farmers. 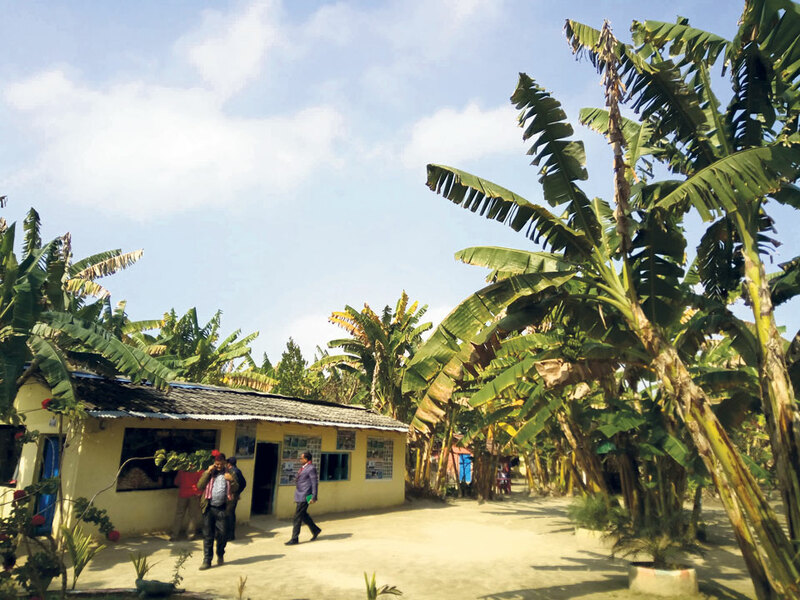 Tikapur has emerged as hub for banana farming in recent years. The number of people involved in commercial banana farming is increasing with every passing year. There are more than 100 farmers in Tikapur Municipality alone. Banana farming is done in over 338.63 hectares of land in the municipality. Kalu Hamal is regarded as the pioneering farmer in Tikapur area. Hamal, who produces several varieties of banana, has also taken up eco tourism in recent years. "My aim is to develop this region into an agri tourism hub. But I have not been able to execute my plan due to lack of resources," he said in the interaction. Responding to Hamal, the ADBL CEO said the bank was ready to translate Hamal's vision into action. "I request the local community to make a viable business plan. The bank will join hands with you in your endeavor to develop the area into agri tourism hub," he added. Another farmer, Binod Shah, has done banana farming in 54.18 hectare. Shaha, who has already invested around Rs 150 million, plans to expand his farm further. He said in the interaction that the government should help provide necessary help to farmers. "We cannot compete with cheaper imports from India if we do not get needful support and cooperation from the government," Shah added. The ADBL team told local farmers that the government provide interest rate subsidy on certain loans. Durga Aryal, who oversees the bank's Far Western Provincial operations, said interested people can apply for subsidized loans on seven entrepreneurial schemes. "We intend to help banana farmers of the area by using one of these schemes," he added. "We have invested in banana farming in the past also. This time, we are interested to make substantial investment." Tekendra Dhami, a local farmer, expressed happiness over the bank's decision to prioritize banana farming. "We are hopeful that the bank will live up to its commitment," he added.